Authorities are anticipating the fate of officer Darren Wilson, who shot an unarmed black civilian by the name of Michael Brown, according to a report given from The Los Angeles Times. Darren Wilson, 28, who is white, fatally shot Michael Brown, an unarmed 18-year-old black male on August 9, 2014 in Ferguson. Several witnesses reportedly said Brown, who had ran away from Wilson, had his hands up to surrender at one point before the fatal fusillade. 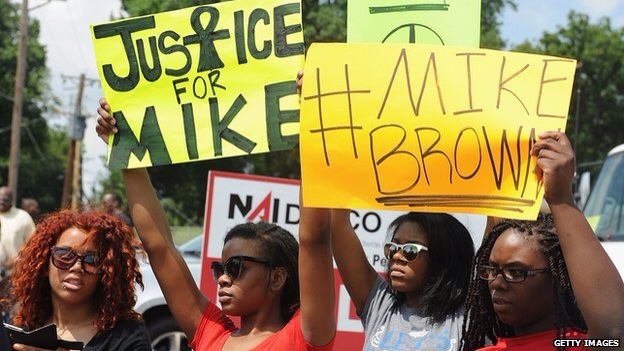 Brown’s death has illuminated both national and international awareness on Ferguson as weeks of daily protests, which ignited the inflamed cry “Hands up, don’t shoot,” led to multiple confrontational kerfuffles with law enforcement that were armed. The St. Louis County grand jury is deliberating the Michael Brown shooting case, which is scheduled to resume on November 24, 2014. Previous PostEpilepsy and Marijuana Therapy.Next PostOfficer Darren Wilson is not indicted.